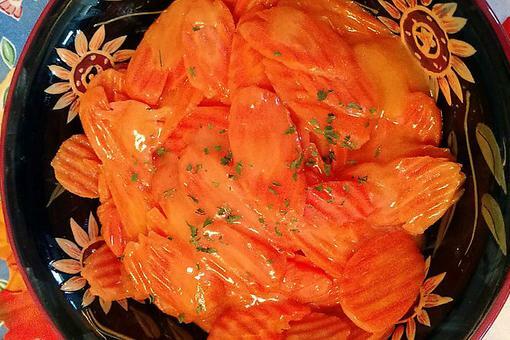 Remember grandma's carrot salad with raisins and mayo? Try this updated version! Preheat oven to 350 degrees F. Toast cashews on a rimmed baking sheet, tossing occasionally, until golden brown, about 8-10 minutes. Let cool and set aside. Add the garlic, lemon juice, red pepper flakes, 1/2 cup cashews, honey, salt and pepper to a blender or food processor. Process and slowly add the oil by drizzling through the feeder tube. Continue until mixture is emulsified into a creamy vinaigrette. 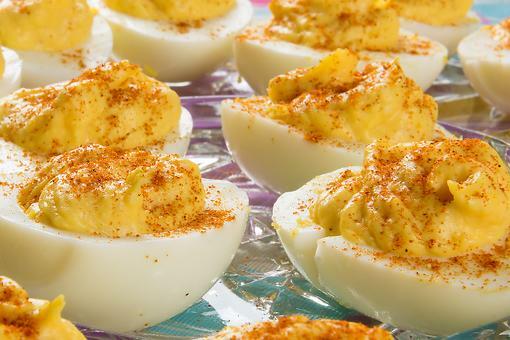 Taste and adjust seasoning to your liking with salt, pepper, honey or lemon. Add carrots. Toss and let sit at least 30 minutes. Toss with additional cashews and chopped basil just before serving. Do ahead: Salad can be made one day ahead without the nuts and basil. Cover and chill. Toss with 1/2 cup remaining nuts and chopped basil just before serving. 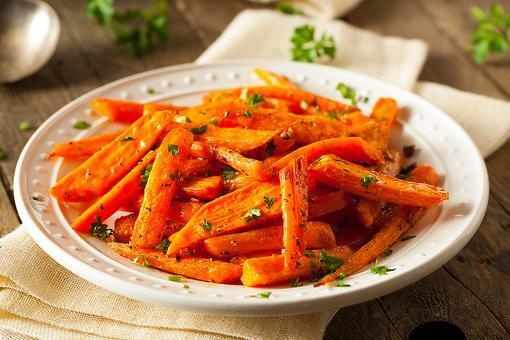 Aunt J's Orange Ginger Carrots: A Vegetable Side Dish Loved By All! 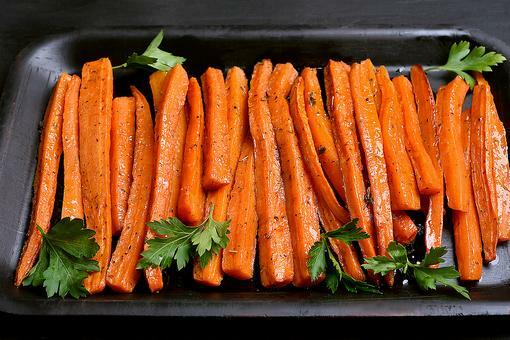 Glazed Carrots: This Recipe Will Make Your Baby Carrots Sing! 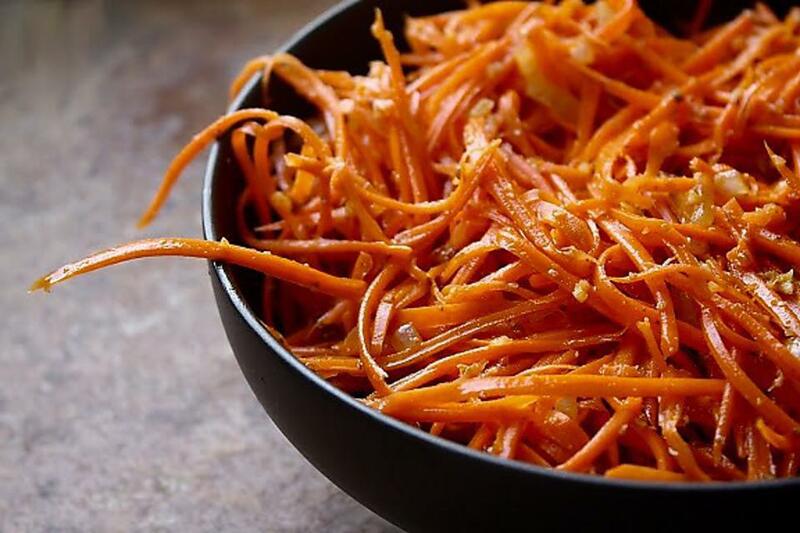 How to Make Carrot Salad With Roasted Cashews & Spicy Honey Vinaigrette!